The opening ceremony of the TEEP@AsiaPlus integrated internship program was held by College of Engineering on August 1st, 2018. This program is supported by Ministry of Education. There were about 70 teachers and students, including three professors from Kasetsart University in Thailand, 18 students from Thailand and India to participate in this opening ceremony. The main purpose for this program is to promote the Taiwan Experience Education Program and to attract more students to come to Taiwan for graduate study. The leader of this program is Prof. Hui-Huang Hsu, Dean of College of Engineering. Three departments in the College work together for the program, including Mechanical and Electro-Mechanical Engineering, Computer Science and Information Engineering, and Electrical and Computer Engineering. 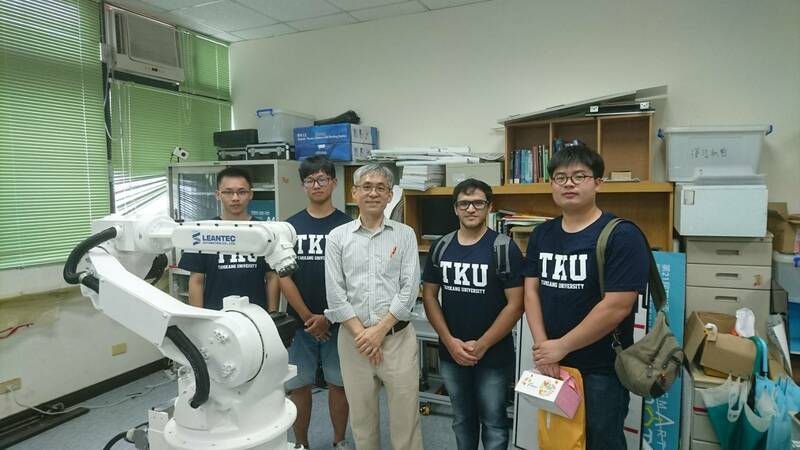 The program is funded NTD 2.5 million to invite over 20 foreign students to come to Tamkang University to study Intelligent Robots and Machinery for four months starting from August 2018. Besides the foreign students, there are also over 20 TKU students joining this program. We arrange 35 lectures, an industrial visit to Taichung and a culture tour to Yilan during this period. Each foreign student is supervised by a professor to work on a research project in a lab.